Special Offer - Free Fake Book! This week, we are offering a Two for One Special. 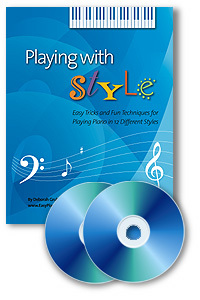 If you order the Playing With Style program (book and two CD's $39), you will receive the book of the You're The Artist/Jazz program. 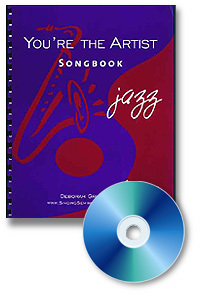 This is an attractive spiral bound Fakebook containing 13 great jazz standards (in various keys) including Don't Get Around Much Anymore, My Funny Valentine, They Can't Take That Away From Me, and All the Things You Are. In addition to working on Internet lessons, I will be starting to film the Instant Piano for Hopelessly Busy People class which will be available on line instantly!! I'm very excited about this. You can download the entire 3 hour class on 6 videos and 1 pdf of the class text which is The Piano Express. No need to live near Boston, MA to take this very popular class.